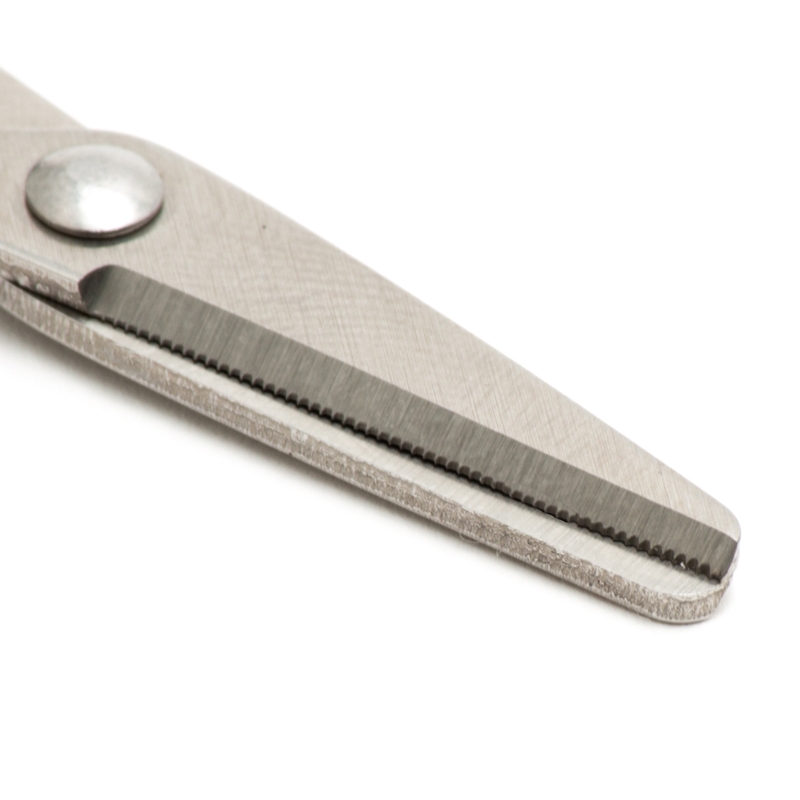 The stainless steel jagged blade securely cuts the PE line. 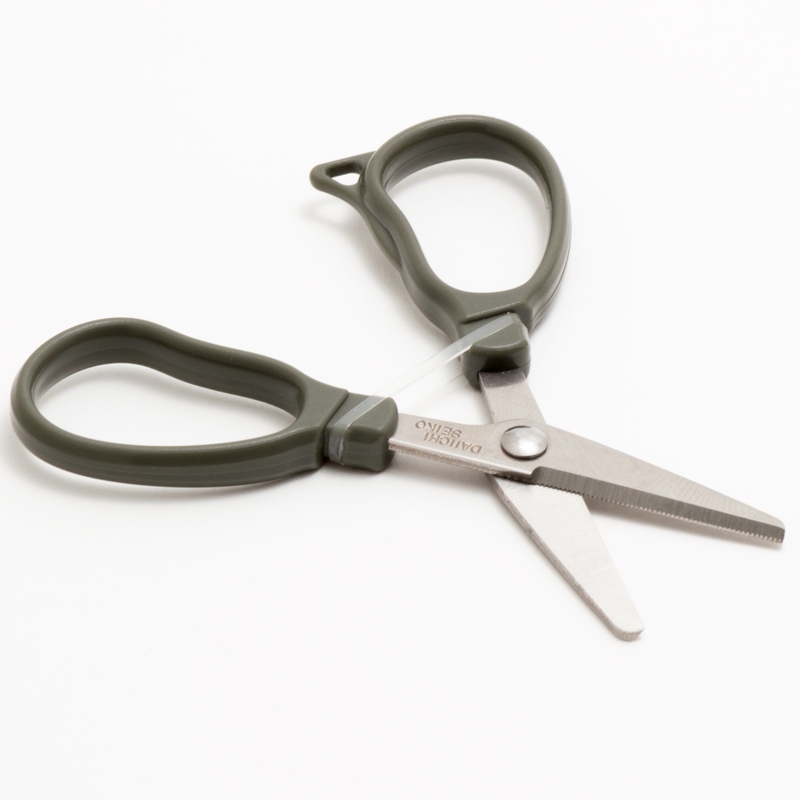 Provided with a silicone band to prevent the unexpected opening of the tip when carrying. 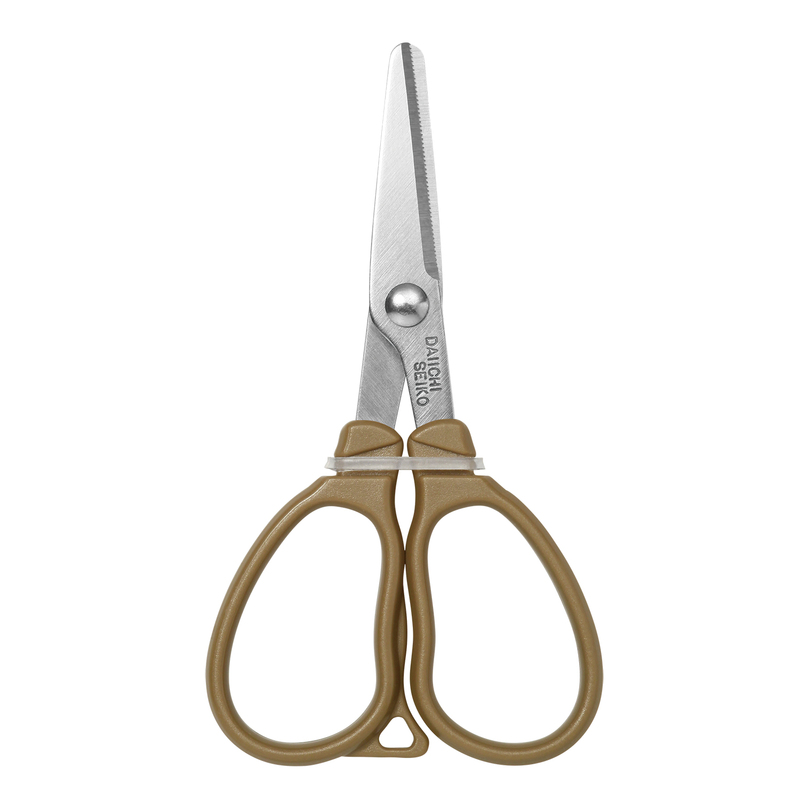 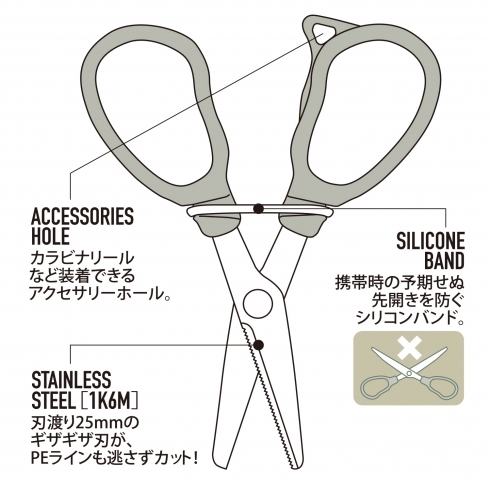 MC Scissors 25 is provided with a small, functional, and excellent accessory hole to hold tools, such as the Carabiner Reel.